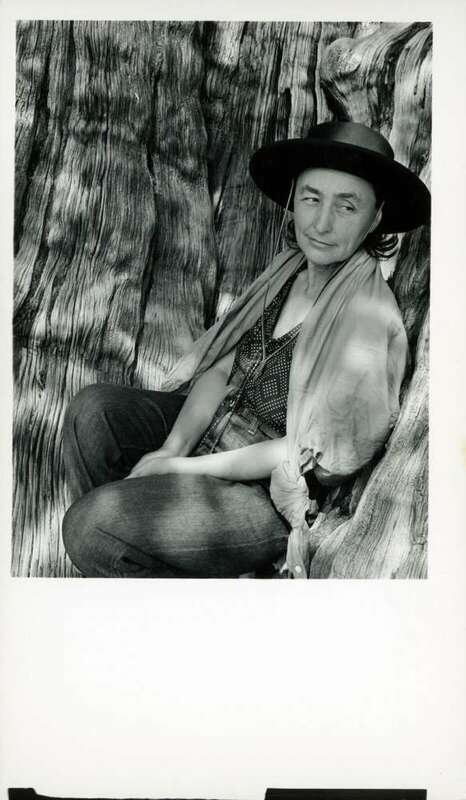 Georgia O’Keeffe is a rock star in the art world. 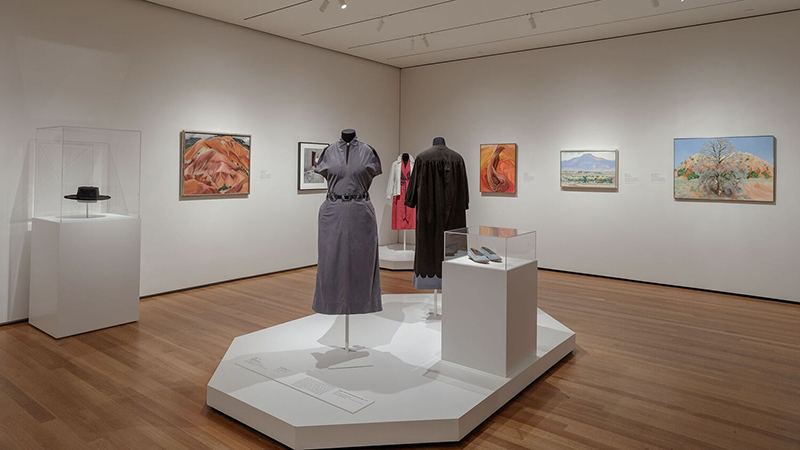 A new exhibition at the Cleveland Museum of Art, “Georgia O’Keeffe: Living Modern” celebrates her as a celebrity, featuring her fashion and photos alongside her art. It may surprise some that O’Keeffe’s style of dress was more subdued than her bright paintings of flowers and landscapes. The exhibition curator, Wanda M. Corn, said that was by design. “She liked to dress in subdued tones so that she could stand next to her paintings and they would look even more vibrant and spectacular in terms of color and line,” Corn said. That did not mean her clothing choices were boring. In fact, Corn said O’Keeffe knew how to control her dress to enhance her own look captured in photos. O’Keeffe’s husband, Alfred Stieglitz, frequently photographed her. She also posed for Ansel Adams and Andy Warhol. The exhibition offers a “holistic view of the artist,” according to Mark Cole, curator of American painting and sculpture at Cleveland Museum of Art. “Because of her talent, because of her life story, her independence, I think that’s she’s just a figure of enormous appeal,” Cole said. O’Keeffe died in 1986 at 98 years old, but her legacy lives on. In addition to the Georgia O’Keeffe Museum in Santa Fe, New Mexico, there are at least three museums around the country currently featuring O’Keeffe. Cole dug into her Cleveland connections and found a few. Upon her death, O’Keeffe willed five canvases to the Cleveland Museum of Art. “I did some research and I think we were the first museum to buy one of her flower paintings, which we did in 1930, and I think this is an honor she never forgot,” he said. “Georgia O’Keeffe: Living Modern” runs through March 3. It debuted at the Brooklyn Museum in New York in 2017. While general admission to the Cleveland Museum of Art is free, this is a ticketed exhibition with timed entry. 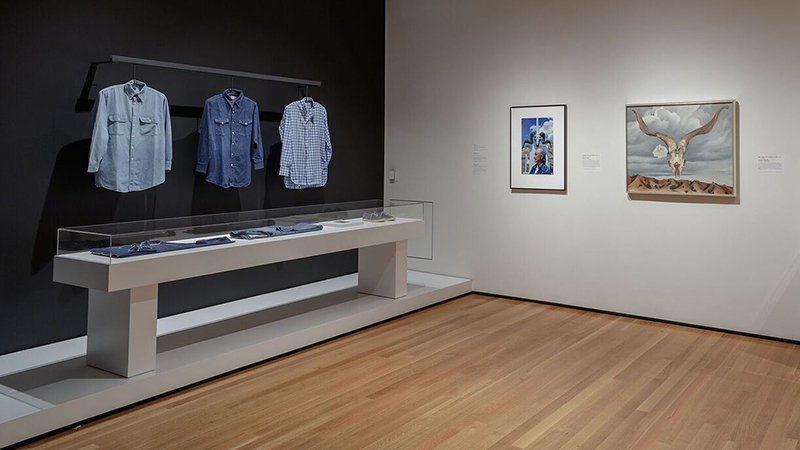 Exhibit curator Wanda M. Corn gives a lecture, "Dressing for the Photographer: Georgia O’Keeffe and Her Clothes," February 3 at 2:00 p.m.